You might have heard of Follow Friday or even seen the #FollowFriday hashtag flying about the Twittosphere, anywhere from Thursday through to Sunday, but did you know there is such a thing as #FF etiquette? Follow Friday started with one tweet by @Micah in mid January which read: “I am starting Follow Fridays”. “Every Friday, suggest a person to follow, and everyone follow him/her”. “Today its @fancyjeffrey & @wiredone “. Micah stated, “I started #followfriday to highlight our friends we are proud of”. Since #FF developed an almost cult like participation, I’ve noticed a growing trend of people sending a bunch of tweets simply listing bulk names like this: @joeblog @maryjoe @janesmith @friend4 @friend5 @friend6 #FollowFriday. I don’t know about you but I would be unlikely to want to follow someone just because they were one of a bunch of names. At the very least it shows that you are not recommending anyone in particular for any valuable reason and at worst, this can come across as spam! So what is the most effective way to use Follow Friday? Just like paying someone a compliment through using the Retweet, the same goes for Follow Friday. Pay the person a compliment by giving people a reason to follow them. 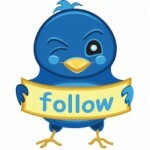 Instead of (@friend1 follow this great person #FollowFriday) or (@friend1 @Friend2 etc #FF). Simply recommend one friend at a time with something like (@friend1 provides simple, fun tips for growing your Network Marketing business through Facebook groups #FollowFriday). Or (@friend2 she has been an absolute inspiration with her awesome blogging secrets #FollowFriday). If you’re really wanting to create a relationship with a particular person, try including a URL to one of their recent blog posts. Being generous with your Tweets will reward you enormously, The Law of Reciprocity guarantees it! Basically you just enter your Twitter username and it will scan your last 200 Tweets for names of people you’ve had contact with and display the results like this: #FollowFriday @friend1 @friend2 @friend3. Although I don’t recommend using the ‘tweet this’ feature for Follow Friday, what I love about this site is that with the push of a button, it will show you who you’ve had mentions from or interaction with in a simple, one page format. If you have any fun, simple Follow Friday tips or questions, I’d love to hear them in the comments below. Great work on your blog! Thank you Michaele, you have enlightened me on the follow friday etiquette. Fantastic information – Thanks Michelle. I keep a Google Docs spreadsheet that I add tweeps to all week as I interact and then use this information to speed up my #Follow Friday recommendations. Using the ‘Twitter Tag Project’ to get the data all at once, pasting this into the spreadsheet and then personalising this (instead of sending the long name lists) – is going to be a huge time saver and help me to not miss anybody. It’s all about leverage combined with personal interaction. Your spreadsheet has also been an awesome idea for keeping track. Most of the feedback we seem to get re social media is about the amount of time people are spending and not getting anywhere. These tools, used correctly make all the difference! Hi Michaele. I am new to this tweeting. I signed on to twitter ages ago and then forgot about it. It was only because I didn’t fully understand how it worked. In the last week and a half I have spent many hours working out how to use it after reading other helpful people’s tweets like yours. Thank you for showing me how to interact on twitter better. I am amazed that with only having been seriously looking at twitter for the last ten days that I have already amassed over 600 followers. You can well imagine that when I read your information it came at a timely point for me a newbie on the block. Bless you and I look forward to following your tweets. Lucky, thanks so much for your feedback. Sounds like you have a pretty good grip on Twitter already. I absolutely love Twitter for many reasons but it is a Social Media site that sometimes takes a while to ‘get’. I have watched people do launches on Twitter worth several hundred thousand dollars. It’s definitely worth spending the time to pay attention to. Watch this space as I’ll have a tutorial up and running soon! I’m glad you found it useful. It sure does take more time to do #FF this way but it goes a long way towards building relationships. I like the article and can relate to your reasoning but overall disagree. I think when you single out just one or two of your closest friends that others feel left out and even alienated. Especially if they were also worthy via their level of participation. I #FF those the interact with me the most. To me, if you interact, respond and contribute you are worthy. If you know many people who fit those three criteria than you have many worthy of a #FF. Thanks for your comment. I guess everyone has their own ‘thing’ when it comes to #FF. I tend to single out and highlight people that have stood out for me during the course of the week. So over time, I don’t really leave anyone out because I mix it up. If I miss someone one week, I try and make sure I #FF them the following Friday. I didn’t know that site existed until you mentioned it. Thanks for that! I am deff going to have to use that. I also agree with the point you made about suggesting bulk friends to follow. I thnk we are starting to outgrow that phase of the game and it is no longer accepted. .-= Justin Glover´s last blog ..How To Make Money Online In As Little As 1 Hour From Right Now! =-. There are many things that cause leaders to stand out from the crowd. One is certainly manners! Leaders learn to avoid doing things that turn potential and prospective business partners off. Frankly, those who spam just haven’t been taught proper etiquette. You are providing a most valuable service by passing this along to people who are anxious to get good results. You are spot on re manners! I must admit since writing this post that I’ve had so many people complain that they don’t have the time. We all have the same 24 hours in a day and I too don’t have the time to individually highlight people every Friday. Thanks Michaele.. Great information and a post everyone should read. As Twitter becomes more and more popular, people aren’t aware that there is a right way and a wrong way to post. This information should be very helpful to anyone who is still a little confused. Appreciate the post and have a wonderful day! .-= Adrienne´s last blog ..Creating a Twitter Background =-. Thanks for a very informative and useful post, I will retweet it, much appreciated. Thanks for stopping by and I’m glad you found it useful. Never ever ask someone to FF you. Please. It reeks of desperation and completely undermines the whole point of FF. Also, never ask why someone didn’t include you in FF. Pathetic. Be memorable, and you will be remembered. Oops re the late reply! Great point about asking someone to #ff you. For the life of me I can’t understand why someone would do this but since you bought it up, I’m guessing it happens. The whole point of #ff is to able to give credit to those who have impacted our lives during that week. Great timing for you post. I wasn’t exactly sure what is was or how to use it best. This gives me great information on wise usage. Thanks so much. .-= HollyÂ´s last blog ..The Discipline it takes to Win =-. Thank you so much for the lesson on Follow Friday! I’ve never seen it explained in such detail! I love it. Now I know what to do and what not to do. .-= Kellie HosakaÂ´s last blog ..Why Your Right Brain Is Crucial To Your Future =-. As there so much to learn about all the Social Networking sites these days, I can easily see why people initially don’t ‘get’ how to participate in Follow Friday. Wonderful to see people like you out there cooking up a storm though! .-= Primal ToadÂ´s last blog ..Living A Primal Lifestyle While Traveling â€“ Chicago & The 80/20 Rule =-. Glad you learnt something from the post. I look forward to seeing you active on #FF now! Hey Michael`e, great explanation of the FF. What you said makes perfect sense…. cramming a pile of names together doesn’t do justice for any of them. Great post, thanks for sharing. No the pile of names never made sense to me either. But I still get them lol. Hey you aren’t 9 months late, I was just a year or 2 late on writing the post! Great post. Having relationships and adding value is definitely the only way to effectively utilize social media and this a great way to use #Follow Friday. You mentioned using a third party tool to track people who mention you. Might I recommend Tweetdeck? With Tweetdeck you can make columns for anything that you want to track instead of going through page after page of twitter pages. I very rarely ever log into “Twitter” and use Tweetdeck 90 percent of the time. I just have a column that tracks people that mention me. You have a nice looking blog here BTW. Yes I used to love Tweetdeck but then I found Hootsuite! There is a button at the end of all of your @replies that say’s ‘show conversation’. So for example if someone sends me a tweet one to two days later that says “Thanks @Michaele_H loved that info” to be honest, I have no idea what they are replying to! The ‘show conversation’ button means I can keep up with exactly what tweet they were replying to. Oh and I had a look at your blog tonight and you have some awesome, thought provoking posts! Awesome post! Thank you so much. I’ve only recently learned about #FF and this was just great! I’ve not really used it because I didn’t know how. I can’t wait til Friday now!!!! Oops Im a bit late back this time! Glad you liked the #FF post. How did it turn out for you this week? Do you know how to get the connections to come up of suggested friends to follow when you connect to a new person as a follower? Not sure if that makes sense, but the easiest way I can think to put it. Are you talking about Twitters latest rollout of the ‘who to follow’ tool? If so, as far as I know it’s still in beta and not showing up on everyones page yet. It shows on mine on the top right hand side and you can expand the list check out more recommendations. Great post and beautifully explained. This kind of quality is worth repeating/retreating! Thank you and I’m glad you enjoyed the post. This question is WAYYY later than this original post, but i am just learning Twitter! I have not too many followers (200) been on for a year, but never paid much attn to it until recently. I #FF’d 3 very pro-twitterers today, who i personally know. Two of them Re-tweeted what I wrote. Is this the same etiquette as #FF back to me? Is it wrong of me to have expected them to #FF me back?? Great to hear you are learning about Twitter and it sounds like you are enjoying it. When people RT your #FF Tweet they are basically acknowledging your post. As far as reciprocating a FF back to you, no I never expect it. The same goes for any of the social networks. If you are coming from a mindset of ‘what can I get back’, you will receive very little in return.